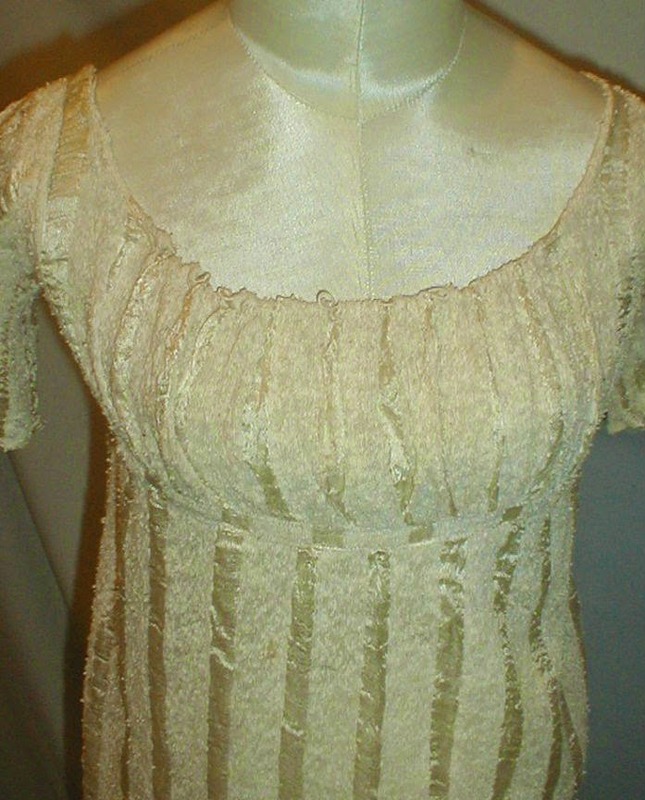 A rare and early 1820’s Regency period dress. 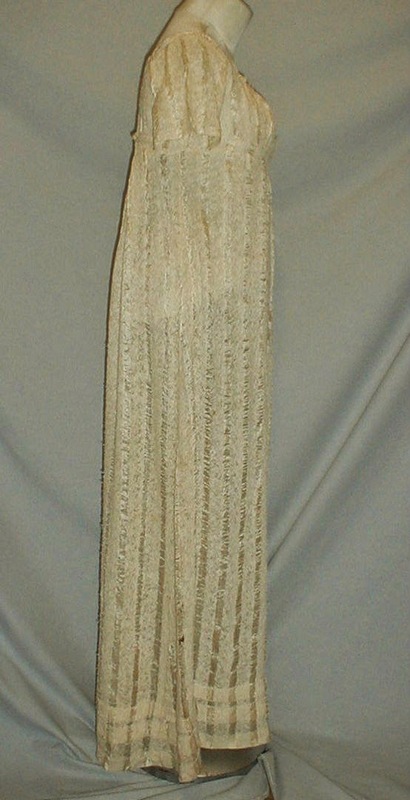 The dress is made of ivory textured and ribbon silk fabric. The bodice has short sleeves and a drawstring neckline. The dress has a high Empire waistline. 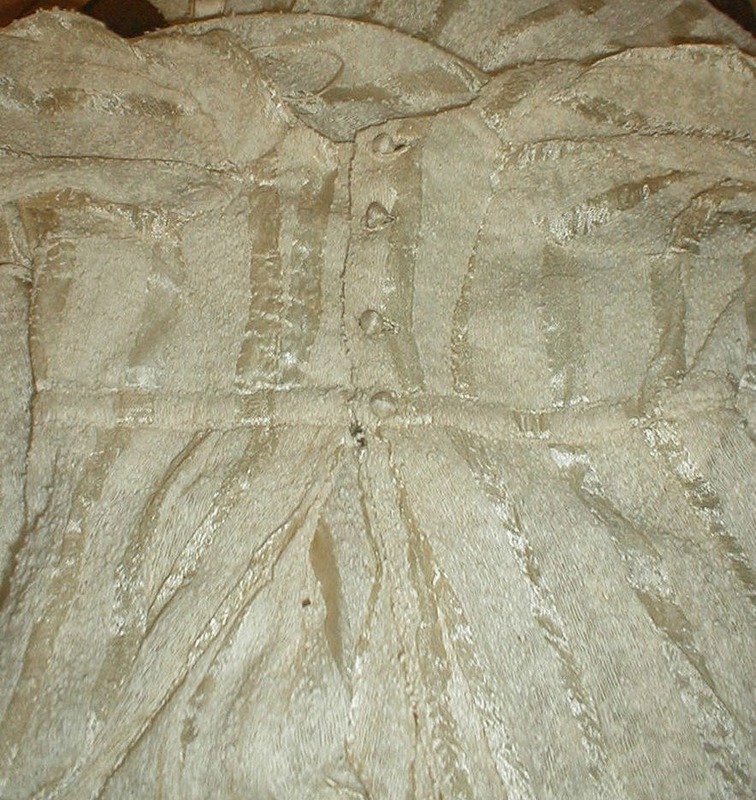 The bodice is partly lined with cotton and the dress has a back button closure. 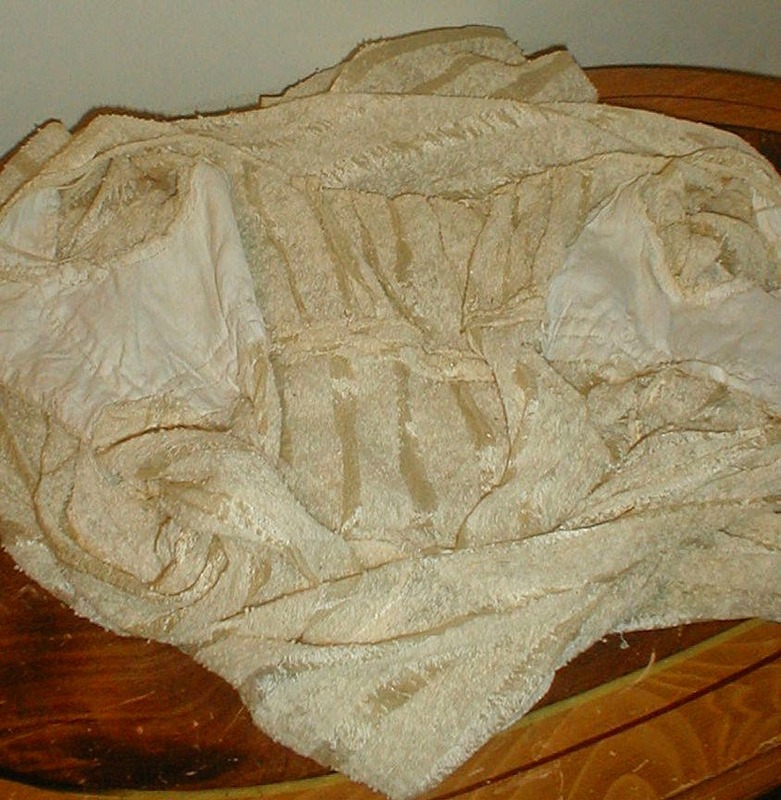 There are scattered ½ inch to 2 inch splits in the fabric mostly in the skirt. 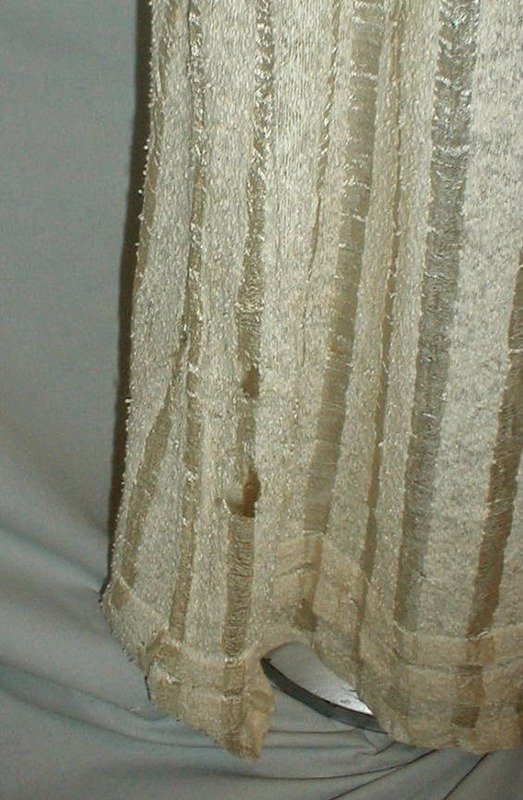 Most of the splits are within the ribbon stripe fabric. There are a couple of nickel size age spots. (See photos.) 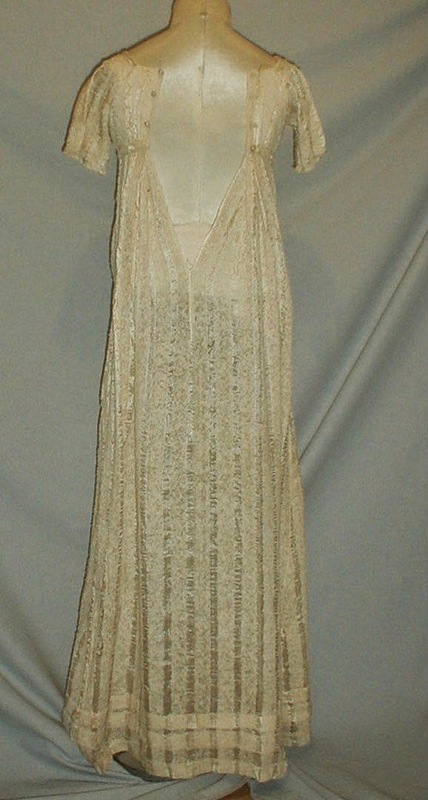 The dress is a small size and for Display ONLY. Bust 29 Empire waist 24 Skirt length 40. 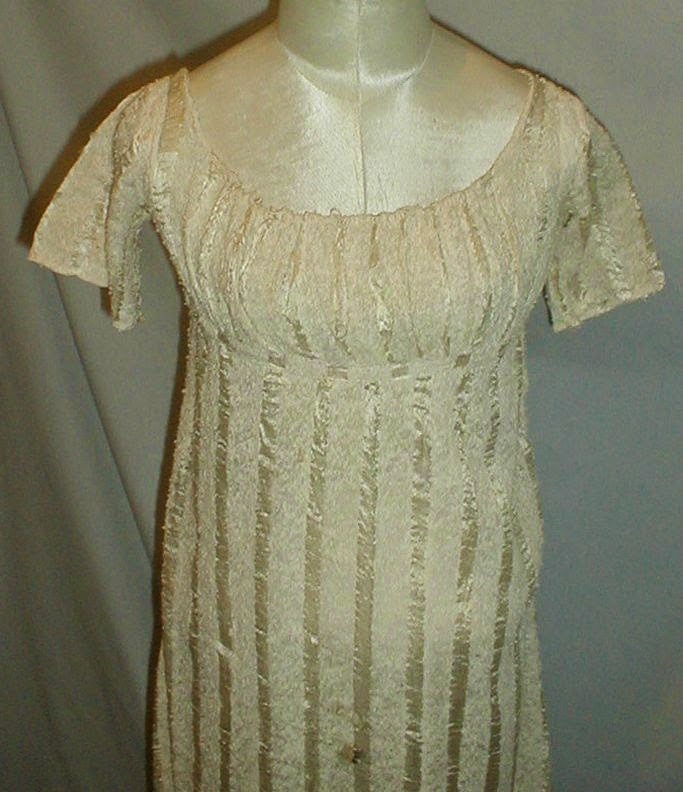 Based on the lack of volume in the skirt, the bodice height and style, and the shape of the sleeves, I'm thinking this is a good 20 years older than what the seller believes. By the early 1820's, the bodice dropped about an inch (from the underbust to the lower ribs) and the skirts were much fuller that this. Interesting to note - the front bodice of this dress isn't lined. I've noticed this in several extant garments from this era. It doesn't seem to be an "all the time" thing - but it does seem to be more common in fancier dresses. Maybe in this case - however, the extant gown I have that doesn't have a front is a fairly dense taffeta. You wouldn't be able to see anything through it.